After 12 hours of Hall H the day before, I needed to stretch my legs around Comic Con. 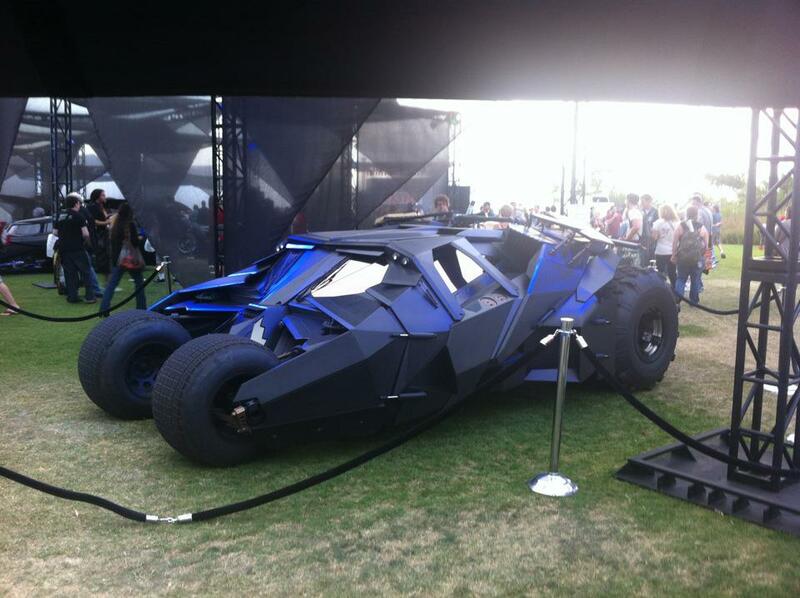 I spent day 2 walking the entire exhibit hall floor, exploring the gaslamp district and drooling over Batmobiles. The floor was alive with excitement and lines from open to close. 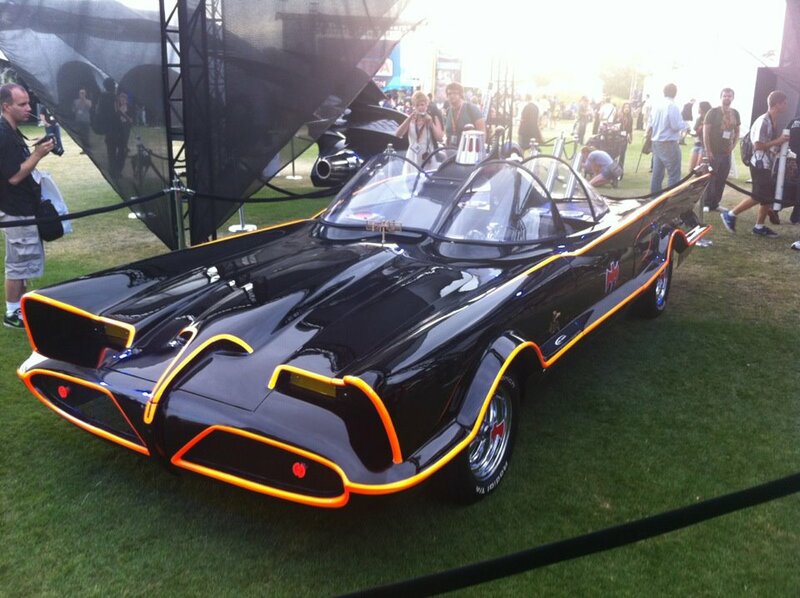 This year, the outside of the convention center and the Gaslamp District were filled with Comic Con related activities. 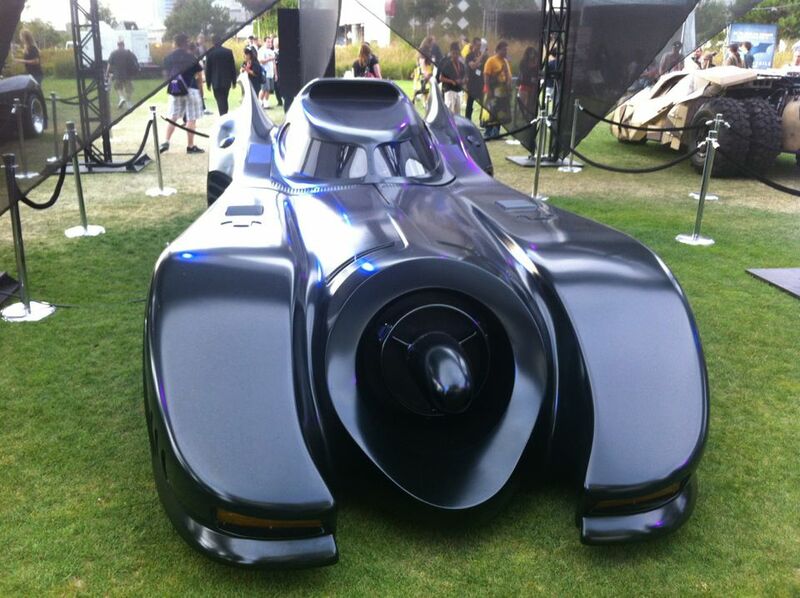 Finally, next door to the Con, Warner Bros. brought the Batcave to San Diego to show off the six movie Batmobiles. It was a lot to take in and totally worth the SWAG pulled in. The exhibit hall floor line was long a couple hours before the doors actually opened. Fans from all over the world were eager to get their hands on convention exclusives, SWAG, and autographs. I was out to hunt down some SWAG, pick up some toys for me and some friends, and talk with some artist and writer friends. With by big tote bag in hand I started at row 100 and headed toward the 5000’s (yes, there is really that many aisles. In the first ten minutes I spotted a gigantic, red Power Ranger honoring the 20th anniversary of the show. Having been to Comic Con for years now, I also noticed that many of the bigger booths had changed their look. Warner’s Bros. ditched the trademark Water Tower and 360 degrees of televisions for a studio stage set up on one side and a museum like room on the opposite side. DC Comics also changed the design of their area with walls sectioning off areas of the booth, creating smaller areas within their square footage. I think Warner Bros.’s changes was an improvement and different. I did not feel the same way at DC Comics’ booth because there seemed to be less room to move around and check things out. The SWAG on the floor was minimal. 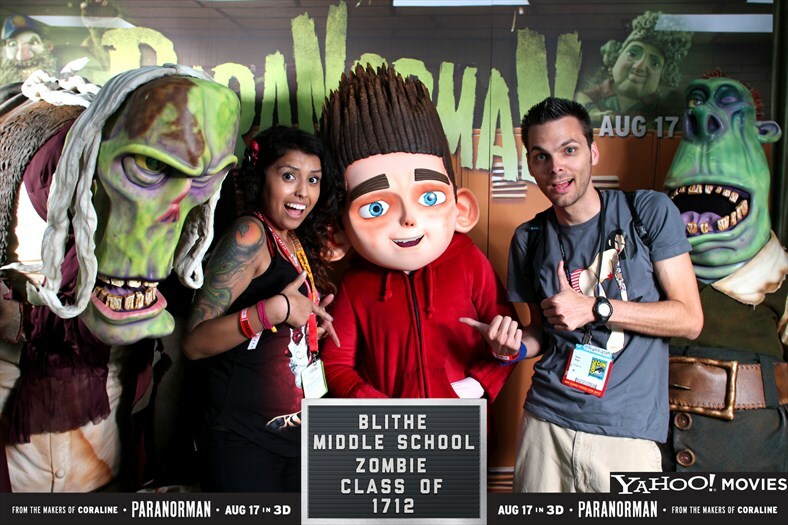 In place of materialistic SWAG more booths started hosting photo booths where a fan jumps in front of a green screen to be added into their favorite show or comic books; the fan walks away with a photo. There were plenty of posters and free comics. On the cooler end of the spectrum was the metal Judge Dredd badge from Lionsgate, a mask from the Court of Owls Batman comic at DC Comics, and a foam Spiderman hand. As I made my way to the high 4000’s and low 5000’s I found Artist’s Alley. The corner area was a lot bigger this year and the TVs hanging above the artists were back showing off various artwork. It took almost four hours, but finally made it through the hall and left with a bag filled with goodies (follow the 100th episode of Forbidden Panel’s podcast, the PanelCast and you could win some of that SWAG). After walking around inside, it was time for some fresh air and to check out the Gaslamp and surrounding areas. Walking out the doors the outside festivities are immediately visible. Large banners, tents and thousands of people are all around. Some of the best highlights were the HGTV and Disney’s Frankenweenie Electric Garden featuring landscapes from the film and passing out small tote bags and a commemorative Frankenweenie pin; the Yahoo! Movieland interactive room where they put fans in a scene of the movies ParaNorman, the Expendables 2, and Total Recall and then before leaving fans got a t-shirt with an attached cape; and the Cryptozoic store where people could play table top games and demo new games coming soon. 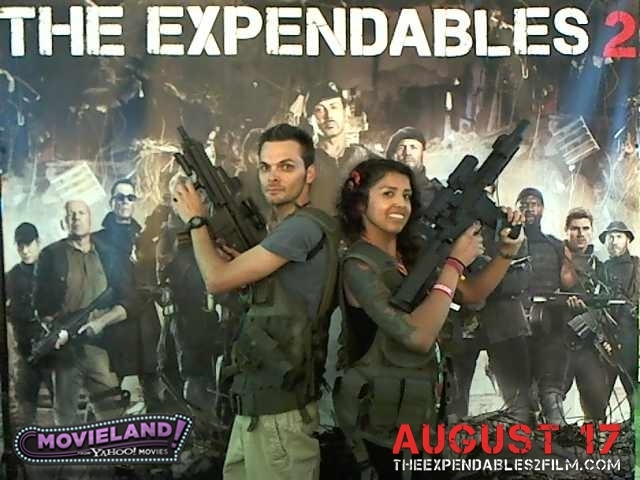 As you can see from the pics below, my friend Vanessa and I had some fun at Movieland. At the Cryptozoic Store I checked out the upcoming DC Comics Card Game. Drew from Cryptozoic sat and played a demo match showing how the deck building game worked. Coming out in August, the DC Comics Card Game features heroes, villains, and more from the new DC 52. Watch for a in depth review on the game when it hits store shelves in the early Fall. So that was Day Two, tomorrow is more waiting in line for Hall H. But I do it all for you guys, so check back for this and more stories from San Diego Comic Con.